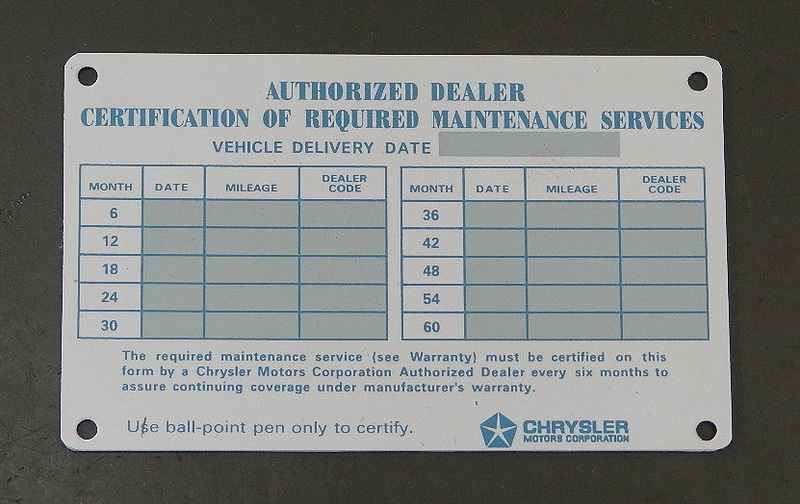 If you have a 1965 Chrysler 300L and want to replace your damaged, missing or already filled out card, www.performancecargraphics.com has a kit that is just what you need. 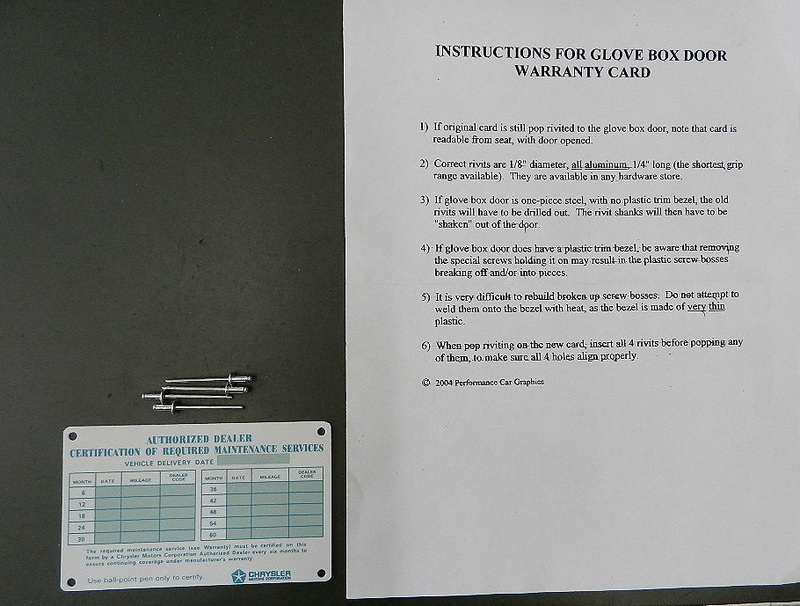 Your kit includes the card, detailed installation instructions, and 4 special rivets. The kit is $20.00 plus shipping.